Straightforward political and business models for a reconciliation of natural resources opens the door for social activists and common armchair readers alike. Think Like a Commoner is a brief history and explanation of the commons, which are mutually held, collectively managed property. Though this concept may seem alien to modern eyes, managing commons is a long-held tradition that has included forests, water, air, and other natural resources that technically don’t belong to anyone. David Bollier describes the history of the commons and projects its future as a possible fixture of modern life. His ultimate aim is to educate, but this extremely clear and fascinating work may serve just as well to galvanize. This book stresses “enclosure,” which some economists might recognize as “resource grabbing,” as both a critical attack on resources and a primary cause of poverty. Resources once held in common, like British forests and California water, are attractive enough to perpetrators of business ventures that they tend to be unilaterally claimed, which is not necessarily fair to the people who once relied on them. The most strident example cited in this book is the British woodlands, which had supported a nation of peasants with free wood and food but were eventually claimed for the exclusive use of British aristocracy. Bollier’s statements against the destruction of common property are particularly effective in that they are backed up by facts, examples, rational argument, and compromise. Even dyed-in-the-wool capitalists may find themselves intrigued. Though he criticizes large-scale political and commercial structures for their role in the erosion of the commons, Bollier presents a number of useful ideas, as well as his own opinions, on how to reconcile the commons with current business and government models in such a way that everyone wins. This perspective is refreshing in activism, where even leaders are often all-or-nothing absolutists. 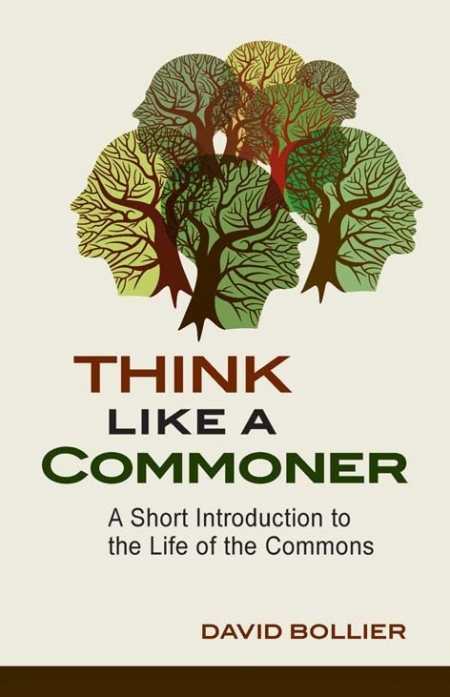 Think Like a Commoner is extraordinarily well structured. Though the concept of common property is hardly simple, Bollier’s explanations, well supported by multiple examples, are so straightforward that even high school students will find this book easy to understand. As an introduction to a massive topic, this book serves admirably as a quick review, an informative tract, and an appetizer all at once. While Think Like a Commoner won’t make or break any experts, it certainly opens the door; interested readers will find plenty to fill their time with in the extremely comprehensive reading list included in the back matter.